Every year, thousands of professionals involved with the treatment of speech, language and hearing disorders come together to participate in a public awareness campaign that encourages early detection and prevention of communication disorders and seeks to increase the public’s sensitivity to the challenges faced by individuals experiencing them. During the month of May, we also highlight the importance of the many benefits that Audiologists can provide to the public through diagnosis and treatment of hearing disorders. Our campaign for May Month includes the following “Hearing is a Social Sense / L’audition est un sens social” video, which focuses on the isolating social consequences of hearing loss. Watch the video now (French subtitles available). We also have the following Don’t Disconnect – Awareness Video in English and French. As well as the Living with Hearing Loss Video. We are calling on YOU to help us get that message out to the public. Please check out the videos and please SHARE it via Facebook, Twitter, e-mail or any other medium available to you and ask others to do the same! Thank you and Happy May Month! Stay Tuned for Additional May Month Hearing Health Awareness Campaigns! While October is usually associated with beautiful fall colours, pumpkin flavoured coffee and Halloween, it is also an opportunity to celebrate National Audiology Awareness Month! As audiologists, we are constantly reminded of how hearing loss can negatively affect communication between individuals and their connections to society. The work we do and the services we provide are essential to helping those who may feel isolated at home, behind in school or are suffering in silence. October is our opportunity to promote what we do as audiologists! During this month, think about how you can advance the awareness of audiology to those around you. Could you give a talk on noise and hearing protection at a local elementary school? Can you schedule a lunch with a local clinic to discuss the prevalence of ear infections at this time of year? Have you contacted your local MLA or MP to stress the importance of supporting audiology services in our communities? We hope these materials will help you promote Audiology during October and beyond. Best of luck and enjoy Audiology Awareness month! The goal of National Audiology Month is to offer to audiologists a special occasion to promote and support the profession of audiology in Canada. To help you promote audiology in your community we have posted the submissions to the 2016 annual Canadian Academy of Audiology (CAA) University Cup Challenge. 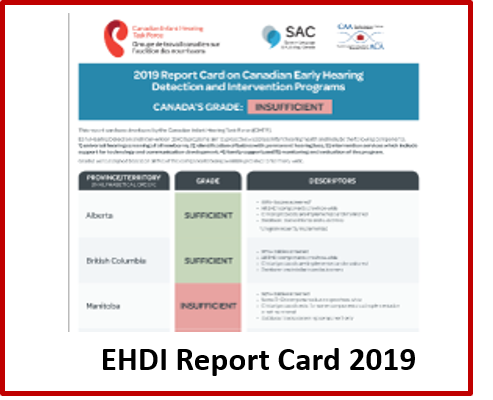 Students graduating from audiology programs across Canada were asked to develop methods to promote audiology to the public. The Université de Montréal students created this video to promote the field of audiology by answering the question: What is an Audiologist? Follow this link to watch the video. UBC’s submission this year was a poster called “The Silent Sound Festival”. The students at UBC chose a poster format for this promotional material as their goal was to promote hearing healthcare to the “pub and festival crowd”. The students also suggested that a QR code could be added to the poster to create an interactive feature. The code could link to a webpage where visitors could play popular songs and experience how those songs would sound with different kinds of hearing loss. This QR code could also lead to a website that provides more information on hearing protection and testing. Click here to view this poster. Dalhousie students wrote an article using the description of the day to day activities of local DJs to highlight opportunities to prevent hearing loss. The Chronicle Herald (Nova Scotia), The Coast, and The Dalhousie Gazette all showed interest in the article! The students used the real life story telling technique as a means of relating better with the public. Please follow this link to view the article by the students from Dalhousie University. Please share these links or draw inspiration from them and help promote audiology in your community! Posters to Promote Hearing Health Management to the Public Two posters are available to members of CAA to help support the message to be aware of changes in your hearing ability and to see an audiologist for hearing tests. We suggest that you send the file(s) to a local quick printer or stationery store for printing on the size of paper/stock indicated in file name. CAA members download the Posters now. The Role of Audiologists This PowerPoint Presentation (PPT) is available to CAA members to use as a support to educate Family Practitioners on the role of Audiologists. It provides an ‘Audiology 101’ approach for the Family Practitioner to understanding hearing loss, evaluation, management and impact on health/quality of life. 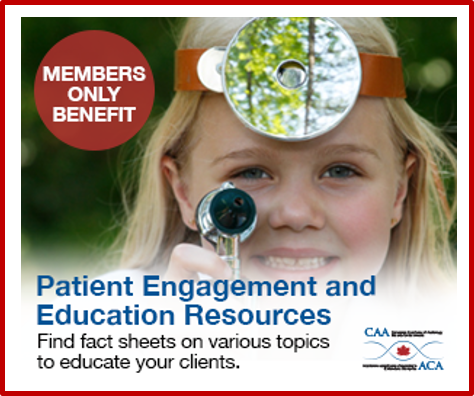 CAA members download the PPT now. Vidéo: Qu’est-ce qu’un audiologiste? Université de Montréal – CAA University Cup Challenge Winner 2016. The Université de Montréal students created this video to promote the field of audiology by answering the question: What is an Audiologist? Marshall Chasin was invited to be part of a Duracell initiative that involved the singer/songwriter Jann Arden. Over the course of 8 hours Marshall and Jann did 12 media interviews that included Breakfast TV, CTV, and a number of Internet media outlets. Jann’s message was quite important. Her mother recently was fitted with hearing aids and is doing quite well. Mrs. Arden has some cognitive decline but the family just assumed that her mom’s inability to communicate in some situations was just a normal response to the cognitive decline. The family physician suggested a hearing assessment and one was done showing a bilateral “70%” hearing loss. Understandably the family felt quite guilty- imagine not realizing that mom was hearing as if she was under the water and wearing industrial earplugs. Guilt is a common feeling among family members. Hearing loss is a slow gradual process with no pain so it’s completely understandable that it is sometimes called the invisible handicap. Given the nature of gradual hearing loss the family should not be feeling guilty- it’s not as if blood gushed from the ears whenever there is a hearing loss. The importance of the work of Dr Frank Lin from John’s Hopkins was discussed. He, and his colleagues were the first to link untreated hearing loss with cognitive decline. Early identification is not just for children; it is for all of us. Dr. Frank Lin and his colleagues at John’s Hopkins University are building an understanding of the implications of the link between the onset of dementia and the presence of hearing loss found in a large longitudinal study. A solution is a massive educational effort by all stakeholders involved to ensure that hearing loss no longer remains invisible. Marshall was able to demonstrate his new app called Temporary Hearing Loss Test (available on Apple and Android in a few weeks). This measures the hearing at 6000 HZ before noise or music exposure and then again after; the difference being a measure of temporary hearing loss, also known as TTS. Repeated TTS over time can result in permanent hearing loss- prevention is the cornerstone behind any educational program. To help increase promote the profession and increase public awareness during both National Audiology Month and Speech and Hearing Awareness Month, and throughout the year, CAA has developed a set of easy-to-use tools for its members. See Marketing Resources for more information.